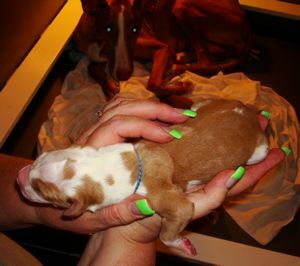 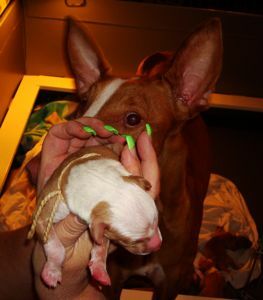 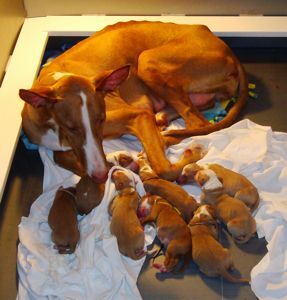 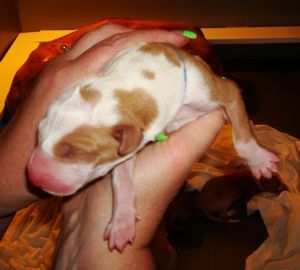 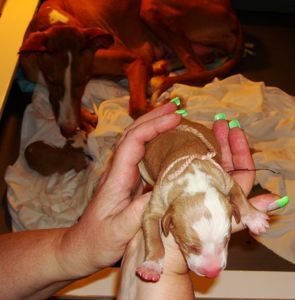 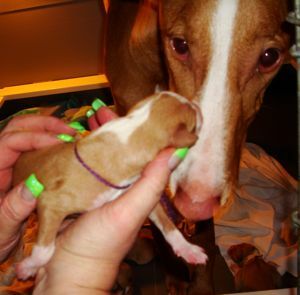 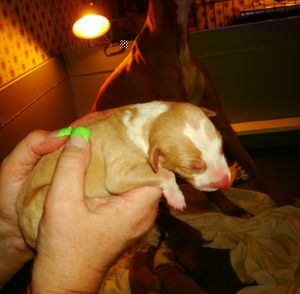 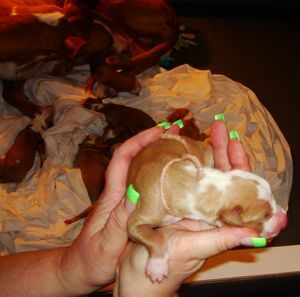 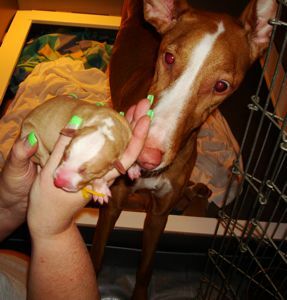 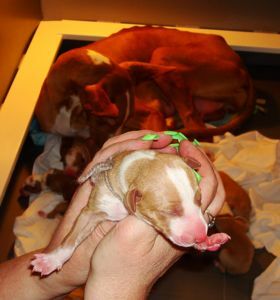 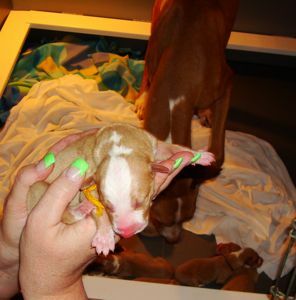 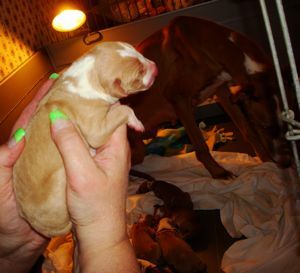 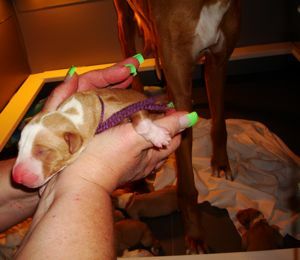 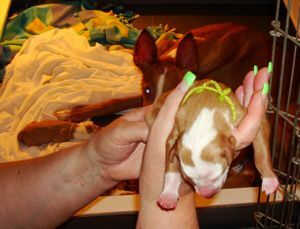 Puppies were born on August 25, 2010. 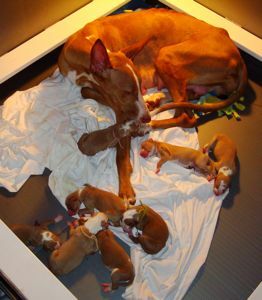 There was 5 boys & 3 girls. 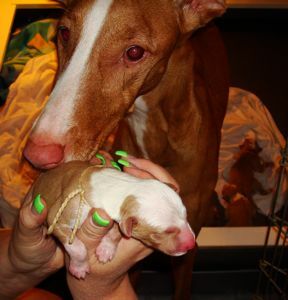 Paloma and pups just a few hours old. 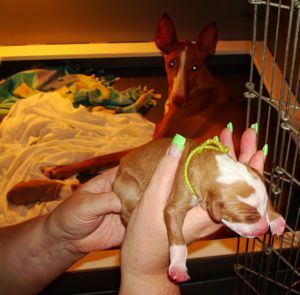 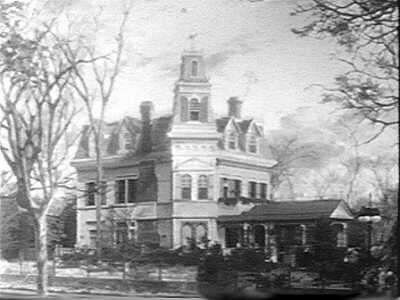 Morticia was the first born! 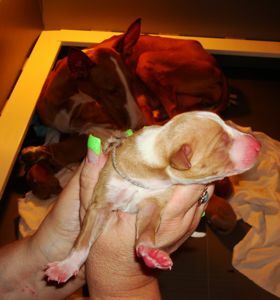 And number eight, was Itt!